The children’s version of this book strives to show them the canonic prayer (al-salat), which in addition to being one of the Five Pillars of the religion, is first and foremost an opportunity for communion with the Divinity, for focusing and concentration, and for expressing gratitude to God through words, physical postures, and inward state. This chapter explains to children the meaning of the Prophet’s saying, “A person only gets from the prayer that of which he or she is mindful.” In this chapter, they learn what it means “to be mindful.” This begins with Ghazali’s example of what intention means when he teaches that if we really wanted to thank another human being for a favor they have done, we would probably say to ourselves before doing so, “I really need to make a point of thanking them,” which includes remembering both the favor and the need to say thank you. This is the disposition that Ghazali teaches should be brought to the prayer and kept present in the mind especially at the moment when the words “God is greater,” which begin the prayer, are pronounced. The virtues stressed in this section are mindfulness and gratitude. 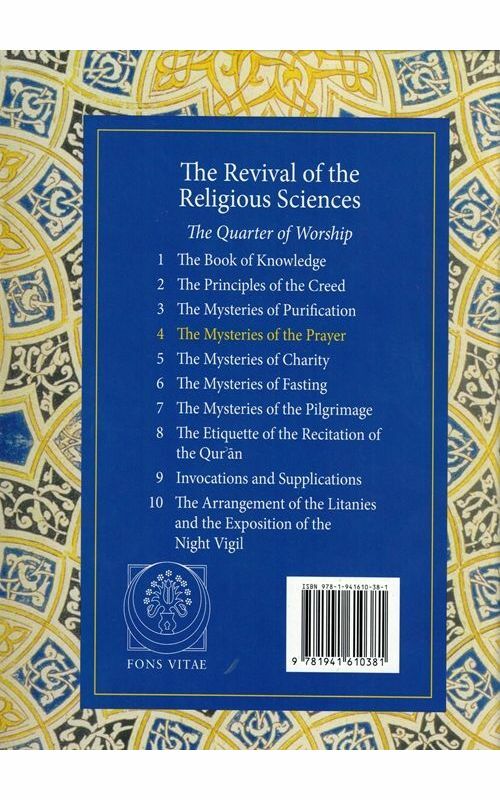 This chapter explains Ghazali’s teaching about how distraction works and what pious people of the past have done to remove objects which distracted them during the Prayer from their field of vision, which Ghazali calls a “gentle” remedy. He also teaches about a harder remedy, which involves becoming detached from some object of desire. For children, this may mean clothes, sports, shoes, or a game they want to buy. His ultimate remedy, however, is for the love and veneration for God, Who is the Giver of all our blessings in life, to become present in the heart. Ghazali also suggests how returning to a concentration on the Arabic words of the prayer can help overcome distraction. If a child does not understand the whole text, it is enough to understand that the first words in the opening of the Prayer – al-hamdu li’llah – mean “praise and thanks to God,” and that anything else pronounced in the Prayer is either another way of saying this or a way of asking God’s help. Thus, this chapter continues to focus on the virtue of mindfulness, overcoming selfishness, and gratitude and love for God. 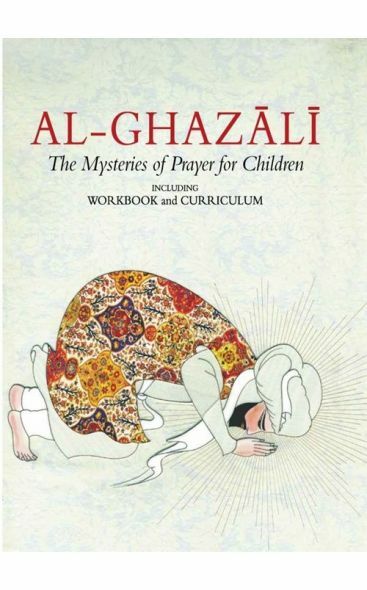 In this chapter, children come to understand some of the meanings which Ghazali explains in relation to the postures of the Prayer. When a child stands upright to begin the prayer, for example, he or she should remember what uprightness in character and spirit means: honesty in speech and ethics in the way we deal with others. Bowing and prostrating express humility, the sense that before the vastness of God and God’s creation, we are truly small. Children are encouraged to remember that, according to a hadith, when they are prostrate and repeat the formula “Glorified be my Lord Most High,” they are the closest they can come to God in this world. The seated position is also where a worshiper says, just before the testimony of faith, “May peace be upon us and upon all God’s servants.” This, and the closing salutation of “Peace be upon you and the mercy of God,” is said turning to the right and then to the left to acknowledge all human beings, which teaches us that we cannot truly bear witness to God without first wishing for peace upon both ourselves and all creation. The virtues being stressed in this section are uprightness, , gratitude, moderation, and goodwill towards others. 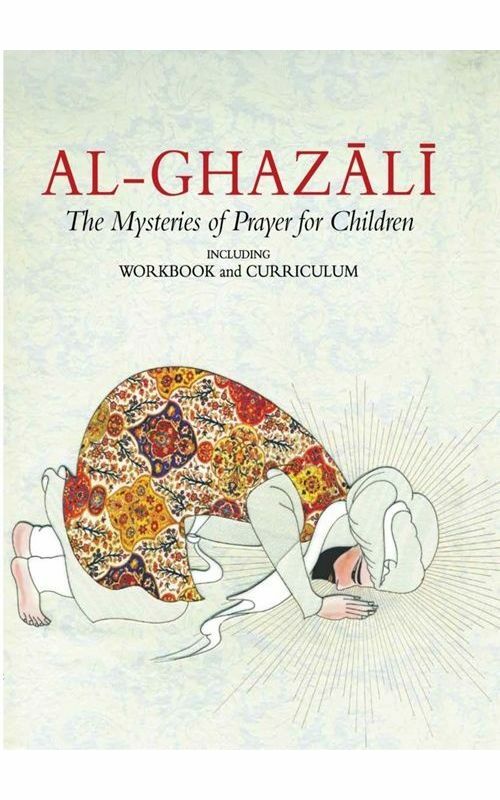 This chapter summarizes what Ghazali teaches about the congregational prayer on Friday with emphasis on the manners connected to it in a way that is easily understood by children. The subject is introduced by calling the children’s attentions to the literal meaning of jumuha (Friday) in Arabic, which is, “gathering. “To attend the Friday congregation is something that is enjoined in the Quranic verse “When the Call is made for the Friday Prayer, hasten to the remembrance of God and cleave off trade” [62:9]. Thus it is a special day which is designated to increase the remembrance of God. Children are also taught the manners of attending the mosque on Friday, which include cleanliness, punctuality, concentration, and respect for those around you. Ghazali points out, for example, that although there are hadiths which recommend sitting in the front row of worshippers, someone who arrives late should by no means step over other people to get there. The virtues stressed in this chapter are punctuality, respect for others, and respect for a sacred space. 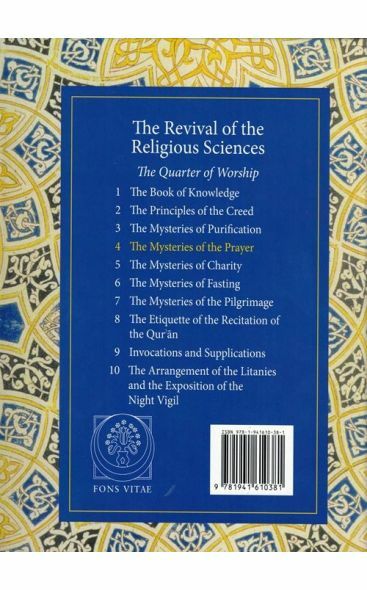 In this chapter, children become aware of what it means to be aware of time, and how determining the times of prayer and direction of the qibla (the position of Mecca with respect to wherever you are on earth) led early Muslims to scientific inquiry and discoveries in astronomy. Children are given examples that they can explore themselves. The virtues being emphasized here are awareness of time and scientific curiosity.